Cited as one of the most exciting and sought-after contemporary dancer-choreographers in the Philippines today, Ea creates visceral and evocative works that have been presented in numerous sites and stages in Manila and abroad. Rigorously trained in classical ballet from a young age, Ea has essayed principal and soloist roles in traditional and contemporary full-length dances with Ballet Manila, Ballet Philippines, and Dance Theatre of Tennessee. Her works have been presented and toured extensively in the Philippines, USA, Russia, Scotland, Japan, Cambodia, Thailand, Korea, Belgium and Germany. She was awarded the prestigious Alvin Erasga Tolentino Koreograpiya Award (2014), Remedios De Oteyza Award for Choreography (2016) and Asian Cultural Council Grant (2016). Her pieces ‘Flight’ won 1st Place at Philippine Dance Cup (2018), and ‘Evaporation’ won 3rd Place at Philippine Dance Cup (2016). She is also a member of World Dance Alliance- Philippines and (ICONS) International Consortium for Advancement in Choreography. In 2015 and 2016, she was one of the formidable judges for the Association of Ballet Academies of the Philippines Competition. She is the founder and artistic director of Manila-based dance theatre group, Daloy Dance Company, where she refines her choreographic style by fusing powerful elements of dance, theatre and improvisation. With Daloy, she has presented Walang Hiya Festival, Sayaw Galaw, Ugnayan Community Porgram and Tanghal at Talakay, all projects that tapped diverse Filipino communities by utilizing dance as a tool for personal and social change. As a teacher, among the notable dance schools where she worked as a faculty member are The School of Ballet Manila, Cultural Center of the Philippines Dance School, Asian American Academy of Performing Arts, METTA Theatre of the Assumption, Tanghalang Pilipino Summer Outreach Program, University of the Philippines Dance Company, International School Manila, De La Salle University and Company of Ateneo Dancers. Internationally, she conducted workshops in Sweden, Malaysia, and USA (Nashville, Pennsylvania, North Carolina and Connecticut). Currently, Ea is a Faculty Member at Ateneo De Manila University, teaching Voice, Movement and Mime at the ADMU Department of Fine Arts. 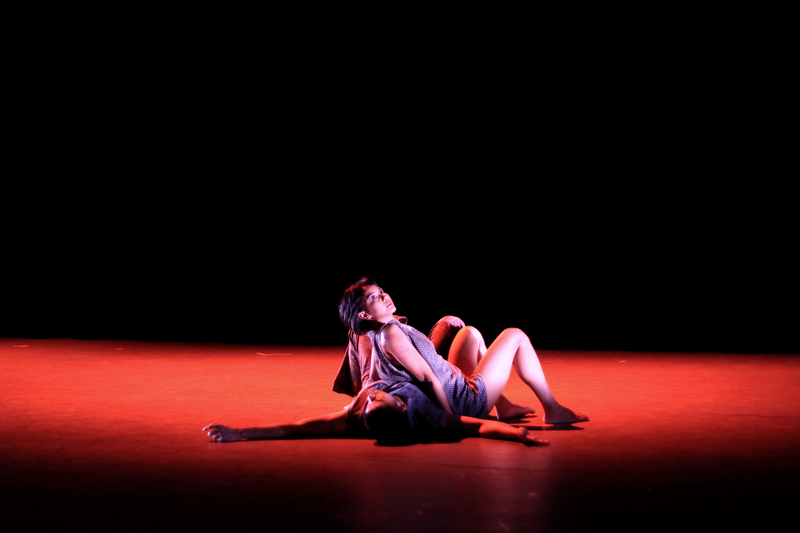 In 2017, Ea was in New York under the Asian Cultural Council Grant and have presented a solo performance, Wailing Women at Movement Research at Judson Memorial Church, Bronx Academy of Arts and Dance and Colombia Journalism School in Columbia University. Visit Ea’s website for more information. FERVENT SELF-SEARCHING IN DALOY’s CANTON ATBP.